When I tell people that I run a fashion blog, one of the inevitable question I would get is: so what is your style like? That is a (sort of) loaded question that’s hard to define, don’t you think? How do you box yourself into a category. Some days I like to dress a little wacky, while other times I’m more of a minimalist. Depending on how the month goes, I might have more wacky than minimalist dress. 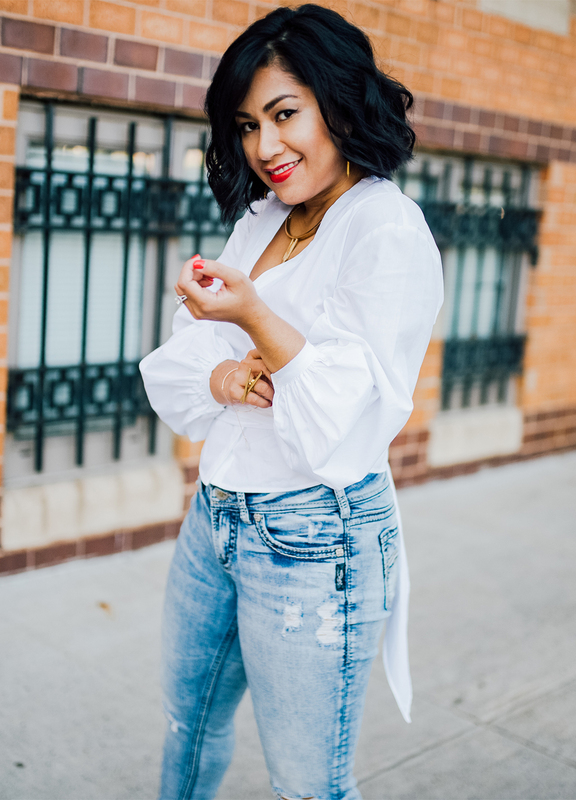 But, whether I’m dressing wacky or minimalist, there is one underlying factor that guides my shopping: clothing versatility. On the real though, I dislike buying things that I don’t think will get a lot of wear. 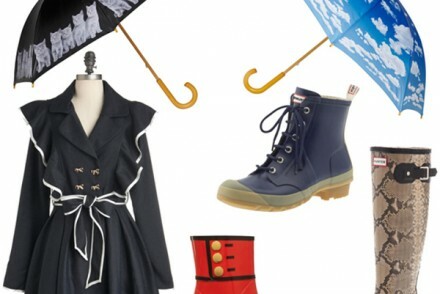 If I can’t think of how to style an item at least three ways, just on top of my head, then I’m not buying it. Well this bow tie shirt has been a recent favorite of mine because, you guessed it, there are so many ways to style it. And I’m not talking bout about pairing it with different items, just the shirt itself has a different vibe to it when you tie it in the front or in the back. Outfit combo: bow tie top from H&M (find similar here and here), trench coat from from H&M (find similar here and here), skinny jeans from Amazon, leopard crossbody bag from from Valentino, icy necklace from LM White Jewelry, storm king ring from LM White Jewelry, single spear earrings from LM White Jewelry.. Such a cute shirt, but I love the pop of red! Such a good top on you and i love that bag! 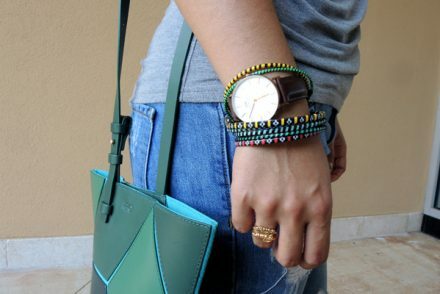 I love this look, casual but super chic with the pop of color! I love the pops of red in this outfit so much! Seriously so cute. Omg how cute are you!!! This look is so chic. Love how you added the pop of orange with the leopard print too! Love how you styled the shirt and I’m obsessed with the pops of orange! chic and classic!! love the white! Love the bow so much! Such a perfect look! Love that top and these shoes are SO fun!! 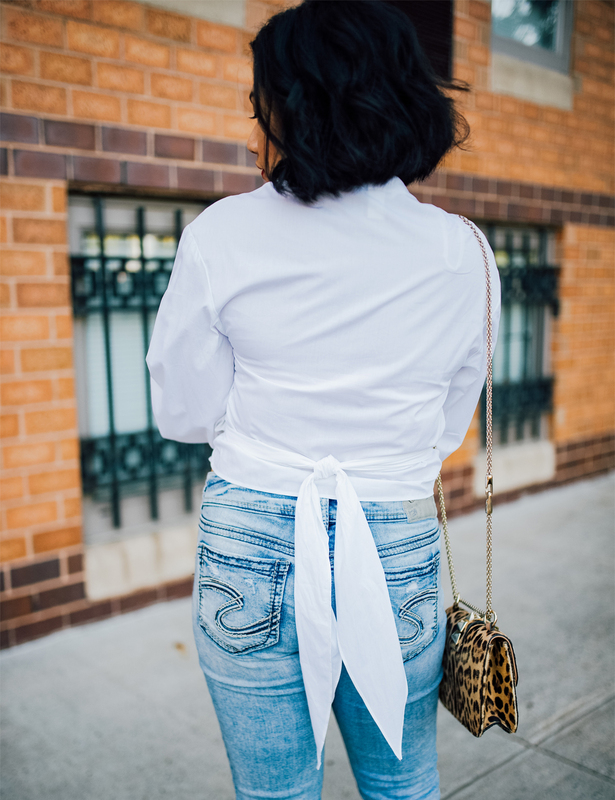 Loving how you styled this bow-tie shirt! Perfect versatile piece! 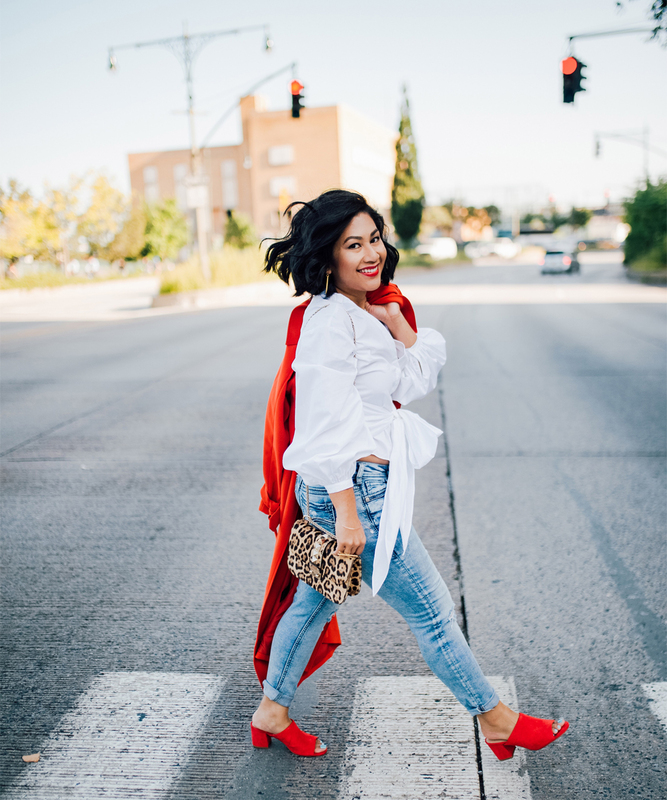 This is such a cute top and I am loving this red coat!! Oh this is such a cute, versatile top! That leopard bag is insanely cute! I recently ordered a leopard bag and can’t wait to style it. Thanks for the inspiration! I love the different ways you wore the top! So fun to have options! The pops of red and leopard are perfect for this look! You are rocking those pops of red!! Love this outfit! Cute top & love the red coat! 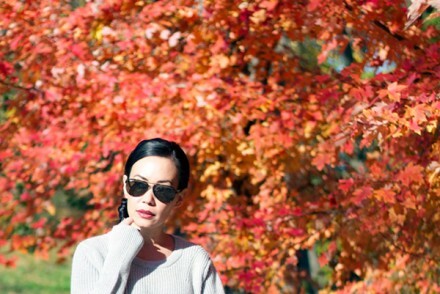 You can’t go wrong with a leopard bag for fall! 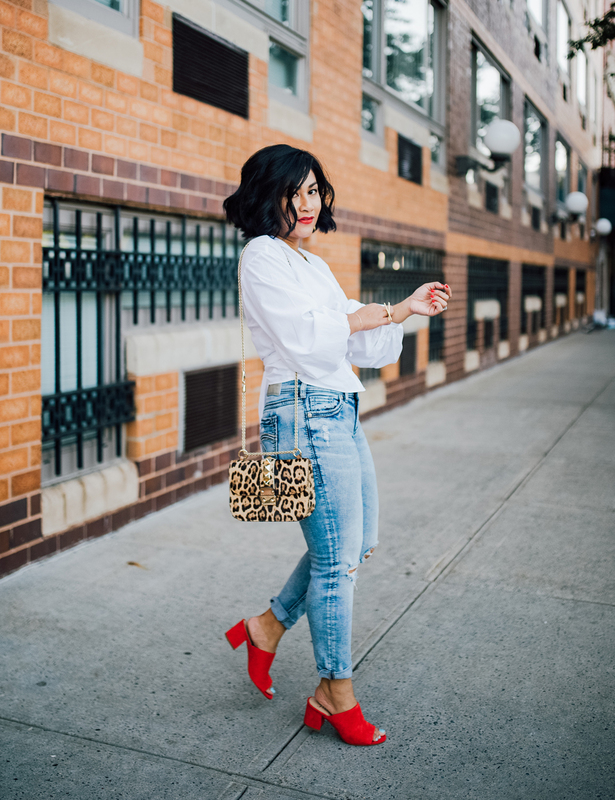 Great updated classic look with the white button down, jeans and a pop of red and leopard. 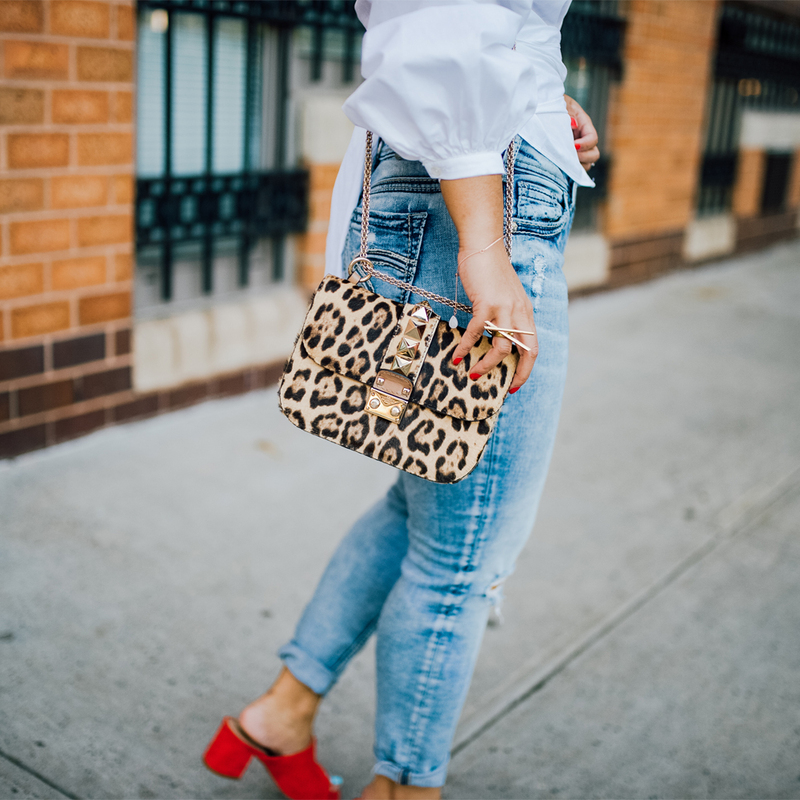 Dying over the leopard bag and red mules!